He also praised Golden Crown Beard. I understand that they are prolific self seeders. I ordered seed from www.prairielegacyinc.com. They are located in Nebraska. The seed arrived today and will have to be winter sown or stratified for 30 days prior to sowing. The weather is so horrible, I think I will try starting some seed this fall but save most for next spring. Definitely let us know how the plants do, and if your bee's like them! I've got dib's on the first round of seeds you get rid of! I think I will have to rethink when to start seeds. We went from severe drought to almost caught up on rainfall. I think we have had 12 inches of rain in the last week or so. Not complaining, but making life a little difficult. Now we have night time freezing temperatures. I will probably do my trick of starting perennials outside sometime after Christmas. Was it you who mentioned making seed bombs for the roadways and byways around your area? I was looking at the link you supplied and thinking of ordering some of their seeds for that purpose, but wondered what the success rate was? They are easy enough to make, but should you choose to order that is OK too! I can't speak for success rate. I have never thrown any and then went back to check on germination. I have only done natives and perennials. Natives, especially aren't guaranteed to germinated the following spring. 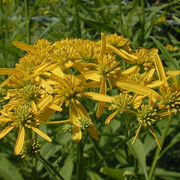 Many native and not native plant seeds can remain viable in the ground for years. Yellow sweet clover is an example. The seeds of Yellow sweet clover can remain viable in the ground for up to 20 years.